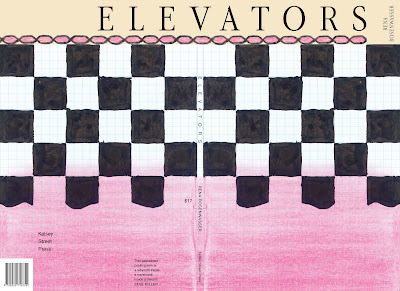 Founded in 1974, Kelsey Street Press publishes experimental poetry and short fiction by women and collaborations between artists and visual artists. The Press publishes a culturally diverse list and each edition is designed to resonate with the writing and priced to be affordable. Rena Rosenwasser co-founder of Kelsey Street Press, served as Director of the Press for over two decades. In the eighties she initiated a series of collaborations between writers and artists. 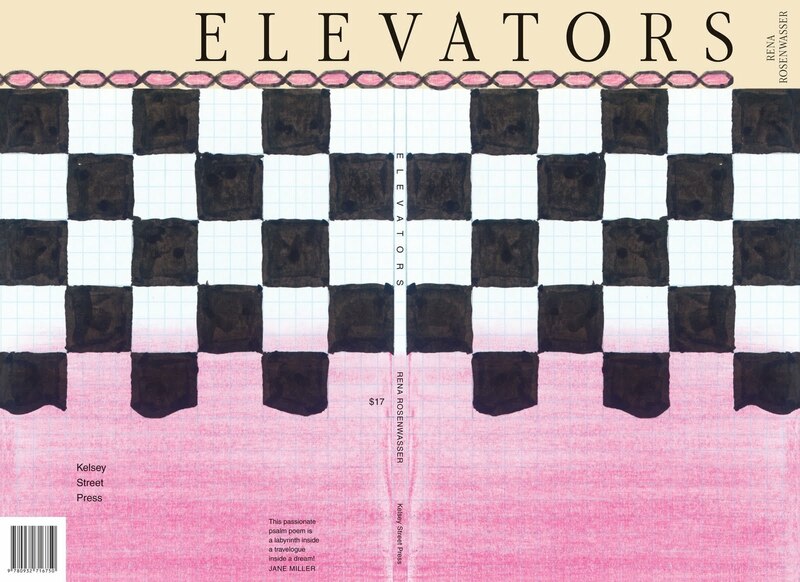 Her books of poetry include Elevators, (Kelsey Street Press, 2011) unplace, place (Leave Books, 1993) Isle (Kelsey St. Press, 1992) Aviary, (Limestone Press, 1988) and Simulacra (Kelsey St. Press, 1986). Patricia Dienstfrey is a co-founder of Kelsey Street Press and an editor there. Her publications include The Grand Permission: New Writings on Poetics and Motherhood (Wesleyan, 2003), co-edited with Brenda Hillman, and several books of poetry, among them Love and Illustration (a+bend press, 2000) and The Woman Without Experiences (Kelsey Street, 1995). 1 – When did kelsey street press first start? How have your original goals as a publisher shifted since you started, if at all? And what have you learned through the process? The Press began in 1974, inspired by two dynamic forces: the millennial impulse of the feminist movement and the agregious absence of women poets on publisher’s book lists and in anthologies. The situation of women in publishing has changed, but our goals have remained the same – to bring out women poets and short fiction writers; experimental writing; a multicultural list appropriate to US society; and well-designed, affordable books. One goal which we hadn’t originally anticipated is to continue to publish collaborative and hybrid works. Another is to explore possibilities for publishing cross-genre works, a rich field for creativity we couldn’t have anticipated when we began printing our books on letterpress in the seventies. The group of women that founded the press were all writers. They (we) were part of the Berkeley Poet’s Co-op and were dismayed at the lack of response of our male colleagues to our subjects. This lead us to form our own writing group and this in turn lead us to question notions about the “literary canon”. One thing lead to another and before we knew it we had installed an old Vandercook letter Press with cases of metal type in Patricia’s basement. I set the type and Patricia inked the rollers and Kelsey Street Press commenced. The group of women that founded the Press, all writers, met in the Berkeley Poets’ Cooperative and Press in the early 70s. Feeling impatient with the male members of the group who didn’t seem to get what many of us were after in our poetry – we formed our own group to create a more charged and focused critical atmosphere. Then when David Meltzer’s anthology entitled San Francisco Bay Area Poets came to our attention and there was not one woman in it, it was clear there was a gap to be filled and that it was only women publishers who would undertake to do it. Patricia bought a Vandercook Proof (Letter) Press and installed it in her basement. Rena and Marina La Palma set the type for the first book, Neurosuite, by Margherita Guidacci, translated from the Italian by Marina. The poetic energy was driven by rage and suffering at being diagnosed as mad by physicians according to masculine norms in a male dominated Italian culture. Our role as publishers is to bring out writing we believe in and love . In the beginning the work we loved and believed in was by women and experimental. Both at the time were being overlooked and belitttled. Now, in any group of Press members at any one time, each person has a somewhat individual slant on this common focus. Patricia and Rena continue to believe in the importance of publishing women. After being voiceless as poets for all of recorded history up until the last three decades of the twentieth century, it’s going to take many years and changes, with women taking active part in developments in technology, culture and scholarship, before we can be assured that the dynamic balance will not return to the historical norm in which the male was, in effect, sole creator of society’s institutions, which continue to shape our daily lives. 4 – What do you see the press doing that no one else is? Focus on women’s innovative writing. The priority we give to our love of the text and the book as an object. Maintaining an unflagging commitment to the design of the book. Earlier on we did more intense editing than we do now. Manuscript editing at KSP has changed over the years. With a few exceptions, the early manuscripts required the by-word-and-line editing approach. It was our practice to work with writers to develop what we saw as the manuscript’s strength. This changed as the writers who sent us work became more accomplished and as our experience with publishing evolved. We began to look for work we could bring out pretty much as it was. Sometimes now we love a manuscript but have some reservation concerning it: it goes on too long – we prefer our poetry books to be short – or has a strong focus that is weakened by sections not of the same high quality as the rest. In these cases, we’ll accept the work for publication if the poet can agree to our cuts. 7 – How do books get distributed? What are your usual print runs? Our earliest letterpress books (1970’s-1987) were produced in limited editions that varied from 200-750. In the eighties we began to do offset runs that were usually 1,000, occasionally 2,000. Recently we are reducing our runs and reprinting with Print on Demand. Our first offering on e-book will be released soon. We distribute books in three ways: directly through our website; (www.kelseyst.com), through our main distributor; Small Press Distribution, and through Amazon. Press Members often shift roles. All our editing is done in-house. Usually 1-2 members will work on a particular book. Usually one person in house is in charge of production. Design and printing, since we shifted to offset (in the 1980’s) is done outside the Press. Rena Rosenwasser-- I have become more aware of the shape of the page and shape of the book. What makes a book or poems work as a manuscript? Sadly after almost forty years of poetry publishing I have become more reticent to publish my own work because of the difficulties I perceive in distributing poetry. Patricia Dienstfrey-- Working closely with other poets’ writing has helped me become more attuned to nuances in my own. We do publish our own writing, though this is occasional. All of us volunteer our labor and our time to the Press and all of us have a strong say in what we publish. We only publish our own writing if we (the group) feels the book represents an excellent example of a Kelsey Street Press book. This year, an unusual one, we released two volumes by press members. Prior to that it had been sixteen years since we published a book by a Press Member. I, Rena, don’t think the question is relevant. 11– How do you see kelsey street press evolving? KSP’s membership is made up of women spanning a range of ages. And with this comes a range of views about the past, present and future form of “the book.” The new generation is assisting us in moving into realms of exploration of various electronic platforms. We are trying our first e-book. In 2014 we will celebrate our fortieth anniversary. We feel set for continuing at least for another five years. Remaining a feminist press that publishes innovative writing. The results of our attention to design and the pleasure it arouses in readers. Our archives are housed at The Bancroft Library of UC Berkeley. Several KSP books are in the Spencer Collection in the NYC Public Library. It is frustrating that some of the fine writers that we have published have been overlooked. With all of us volunteering and working at KSP in the 25th hour of the day-- bright and young people passing through who have moved on quickly--because of the stage they are in in their lives, so we have lost many trained skilled people. Our meetings are often inefficient because of our desire to be inclusive and work by consensus. The early letterpress printers of the twentieth century. Many of whom were ex-pats who lived in Paris in the first part of the century: Contact Editions, The Hours Press (of Nancy Cunard), Black Sun Press (Harry and Caresse Crosby). Hogarth Press was also an inspiration. 14– How does kelsey street press work to engage with your immediate literary community, and community at large? What journals or presses do you see kelsey street press in dialogue with? How important do you see those dialogues, those conversations? Read and talk in writing programs, arts centers, publishing classes. Participate in museums that feature collaborations with writers and visual artists. Currently branching out into working with landscape artists who work with sound elements. Early on (in the eighties)we contributed to and were inspired by the journal How(ever) founded by Kathleen Fraser, Frances Jaffer and Beverly Dahlen. Book party launches and readings. Early on we were more regular in having widely attended bashes to launch books. We see public readings and events as enormously helpful in promoting our titles. Our website has a Listen Section where our poets read and discuss their work. Informations and updates on readings, reviews as well as a Blog are helpful in generating activity around our titles. We are now undertaking a collaboration to set up the Bay Area Correspondence School. The project, conceived by two women who wrote PhD theses on the letters of Emily Dickinson, will track Facebook, Twitter, and hand-made postcard correspondence among poets in the Bay Area in the context of an evolving literary tradition. Our policies have varied over the course of almost 40 years. Some years we had a regular reading period. Some years we actively engaged in soliciting submissions of first books. Now our policies are determined on a year by year basis. We are not looking for traditional narrative imagistic work. Humanimal is the second book by Bhanu Kapil we’ve published. It continues Kapil’s cross-cultural explorations of the interconnections of mind, body, spirit expressed in an embracing and remarkable poetics. Bhanu Kapil follows a film crew to the Bengal jungle to re-encounter the true account of two girls found living with wolves in 1921. Taking as its source text the diary of the missionary who strove to rehabilitate these orphans--HUMANIMAL functions as a healing mutation for three bodies and a companion poiesis for future physiologies. . .The humanimal text becomes one in which one in which personal and postcolonial histories cross a wilderness to form supported metabiology. Kapil was born in the UK to Indian parents, Bhanu lives in Colorado, where she teaches in The Jack Kerouac School of Disembodied Poetics at Naropa University. 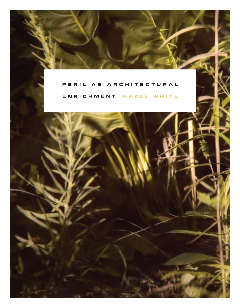 The books by Hazel White and Rena Rosenwasser have taken Kelsey Street Press into the realms and vocabularies of landscape and urban architecture. In this direction, we can already see possibilities for new collaborations and an extended audience for poetry. How Phenomena Appear to Unfold, first edition published in 1989 by the poetry press Potes & Poets, is conceived as an ongoing, flexible structure that incorporates demonstrations of its gestures, such as poem-plays and poem-sequences alongside essays, the essays also demonstrations—of my own poetics and of other poets' works. I have expanded the first edition of How Phenomena Appear to Unfold, omitting some pieces and adding by interweaving twenty-one new essays (only three of which have been published in previous books) and seven additional poetic works. 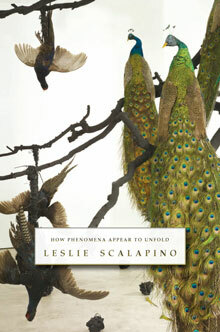 When Oakland, California poet, editor, publisher and critic Leslie Scalapino died on May 28, 2010, she had but a month before finished the “Author's Preface” to the new edition of her collection of essays, How Phenomena Appear to Unfold (Litmus Press, 2011), newly published as my own introduction to the work of a writer I've long heard of, but not been fortunate enough to explore the work of, yet. This collection of formal and informally-formal essays, with the occasional poem and photography work slipped in, and, at some three hundred pages, represents an impressive introduction, with essays (often more than one on the same author/artist) on the works of Robert Creeley, “Larkin on Beckett,” Robert Duncan, Robert Grenier, Mei-mei Berssenbrugge, Aaron Shurin, H.D., kari edwards, Philip Whalen, Lyn Hejinian and Susan Howe, among others. The expansive nature of the project, which could have broadened further over years, is only one of many regrets such a volume can't help but contain, as well as an awe in the kind of work she'd been able to accomplish, adding further to the conversation of a number of writers and their works. When any writer dies, there is always the question of what we didn't know about, what works might not have yet appeared in print, a natural impulse against the fear of never seeing new work by that writer ever again. 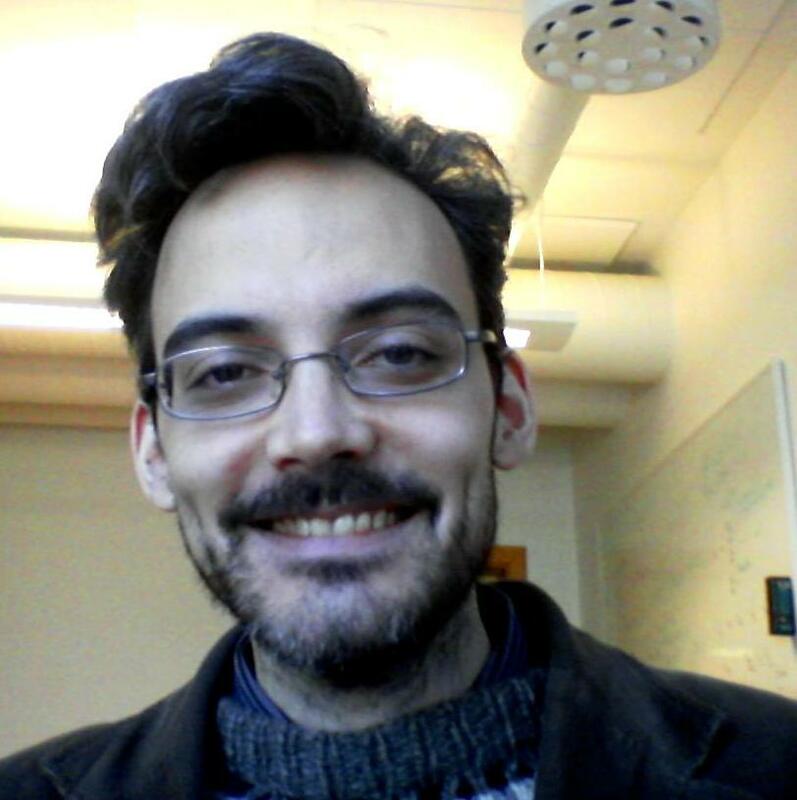 Throughout these essays, explorations, poems and prose-works, Scalapino unfolds, appears to unfold, and perhaps unfolds, one layer at a slowly time. Apparently a selected poems appeared not too long ago, It's go in horizontal/Selected poems, 1974-2006 (University of California Press, 2008), which hopefully exists as a worthy counterpoint to the current volume, and one wonders if there might be further work, whether unpublished, uncollected, or the opportunity for a potentially-expanded selected? Just as this issue was getting ready to go to press, I read the deeply sad and shocking news of the death of Robert Kroetsch. I knew Kroetsch only casually, at best; I ran into him several times over the years at readings and other events and we'd say hello to each other. When I attended the Writing Studio at the Banff Centre in 1994, he was among the faculty there that year, teaching fiction whereas I was one of the poetry participants. Despite my being in the “wrong” genre, he generously read my poems and gave me encouraging responses and even some helpful suggestions. I'd earlier been feeling rather dejected about my poems because another writer at Banff dismissed them as being contrived. I mentioned this to Robert Kroetsch and he replied (gruffly, I'll add, very gruffly), “It's POETRY ...It's supposed to be contrived!” To my novice poet ears, these words were beyond wonderful...they were revelatory, and invaluable. My interpretation of Kroetsch's assertion was—still is—that you can make poetry (stone-hammer it if that's what it takes) into whatever you want it to be. For many months when I was first trying to figure out how to be a poet (I'm still trying to figure this out), I carried Kroetsch's Completed Field Notes with me everywhere—as a collection of constant reminders of what a poet can do, what a poet can make...indeed, contrive, yeah, that's the beauty of it. I'm disappointed that this issue of Saskatoon's Grain magazine, a quarterly published through the Saskatchewan Writers Guild, is Sylvia Legris' last as editor. I don't know why the the Guild would see fit to replace Legris, as she brought a quality, stature and visibility to the journal it had long been lacking. 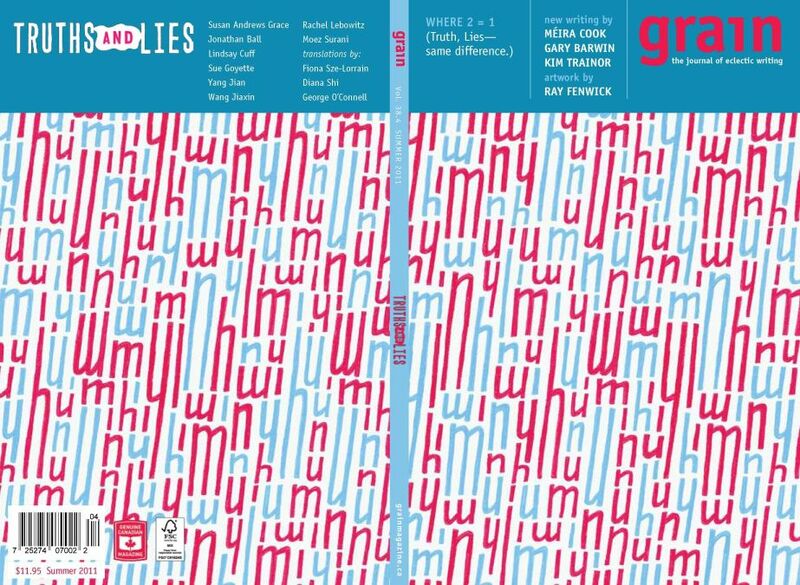 Subtitled “the journal of eclectic writing,” Grain has enjoyed a vibrancy it hadn't had in years, thanks to Legris, a poet best known for winning the Griffin Poetry Prize for her third trade collection, Nerve Squall (Toronto ON: Coach House Books, 2006). Through Legris, the journal was truly eclectic, acknowledging both the more linear narratives that have populated the journal throughout its history as well as an array of more experimental forms, by writers both established and new (it's worth noting that Chuqiao (Teresa) Yang, a young Ottawa writer I first discovered in the summer 2010 issue [see my review of such here] took first prize for her Grain piece in two categories of the 2011 Western Magazine Awards). I'm disappointed she's leaving, and baffled at the move, with turns of outright anger. I can only hope that, with her tenure of editor over, she might return to writing. With only three trade titles to her name so far, she has long been one of my favourite Canadian poets, and I would like to see what else she is capable of. Part of what makes this issue compelling is the fact that Legris has selected sections from numerous longer works-in-progress (and a couple of shorter ones as well) by Gary Barwin, Méira Cook, Sue Goyette, Rachel Lebowitz, Moez Surani, Susan Andrews Grace and Kim Trainor that all include introductory statements. Why is it so rare for Canadian journals to consider statements? Calgary's dANDelion did such a few years back, and it was magnificent, with short poetic statements by poets Jon Paul Fiorentino and Julia Williams, among others. A particularly interesting statement comes from Sue Goyette, writing her “Agatha Christie's Eleven Day Disappearance: Her Fugue,” composing a poetic sequence imagining the lost days of author Agatha Christie in her sequence “The Silent Pool.” It seems odd to note that this same period was also fictionalized in an episode a bit ago of Doctor Who. Would Goyette have known that? try. They forked and combed it. Let loose the hounds. and there's her shadow in one of them, lingering. Then she disappears. Just like that. Can't we see the body? in the most delightful of ways. Like a bedtime. seconds like milestones on the river bank. What else to mention? The featured artwork by Ray Fenwick, including cover art, has a lot going on in it, and forces the eye to stop for a moment. There are translations: six poems by Yang Jian (trans. Fiona Sze-Lorrain) and two poems by Wang Jiaxin (trans. Diana Shi and George O'Connell). Rachel Lebowitz has some magnificent prose-poems; I look forward to seeing her project, “Cottonopolis,” achieve completion, to see what else is possible through the cadence of her lines. This is, after all, a new world. Iron brands, bands laid across meadow, fallow field. They say cow's milk'll turn sour at the sound. They say the speed will crush your lungs. They say you could lie a sleeper line of mangled legs along this track. Wheels turn, the hare flees, rain falls in sheets. Over a hundred bales of cotton in her sides. We left Liverpool this morning. Some years back, there were signs in her windows: Silver Locks and Collars for Blacks and Dogs. We'll reach Cottonopolis next. The train's greased with palm oil. See it shine. The gun goes off. Scramble!! Bodies shine. Slaves run, fling themselves overboard and are seized again. And later, we'll take this palm oil, this gold in a glass, and spread it on our trains and on our bread for tea. A writer's immobility puts the world in motion. To the extent that we hold our gaze still, things move. Thought, as well, exists only with regard to a halt which is empty. Joë Bousquet wrote, this paralysis has carved a hole in space. To write is to carve that hole in space. Everything takes off from immobility, from the effort of attention that is also a corporeal effort. The tightrope walker has the same problem; he tries to bring together movement and rest, to find perfect equilibrium. The writer's desk is in the mind, a matter of knowing when to stop, of starting out aware that there is no beginning. Writing is a craft of ignorance. Over the past couple of years, I've been increasingly interested in English translations of French poetry, specifically triggered by, among other things, Norma Cole's anthology Crosscut Universe: Writing on Writing from France (Burning Deck, 2000). Through books such as these, I've been able to explore, further, an interest in prose-forms of poetry and the abstract essay, as well as the possibilities of the sentence. 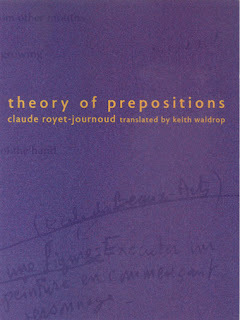 The most recent title to cross my mailbox is Claude Royet-Journoud's the whole of poetry is preposition (trans. Keith Waldrop, Iowa City IO/Paris France: La Presse, 2011). Seventh in their series of “contemporary French poetry in translation,” a series edited by American poet Cole Swensen, the small book exists as an “aphoristic complement to Royet-Journoud's recent book Theory of Prepositions,” another title similarly translated by Waldrop and published through La Presse in 2006. In five sections—A Craft of Ignorance, [For Emilio Araúxo], To Discriminate, Of the Preposition and Paste-On—the small collection is an extended essay-poem on writing, extending the prose-poem to write out his poetics, as easily as another might compose a letter to a close friend. There is something about French writing I've always admired, in how they, as compared to many English-language writers, have such clarity of poetic, such a clarity of thinking, however abstract it might appear sometimes, in their ongoing works. There is something quite astounding in this unassuming work that needs to be studied, quietly and over a long period. The whole of poetry is preposition. It's only with your foot on the core of the tightrope that the narrative unfolds. Before that, there are only fragments of sense and you see nothing of what ties the plot together. Voice is no help in constructing a framework. It dissolves the whole, makes it fragile, and retains only appearance. Accidents are essential. They are what give form and readability. 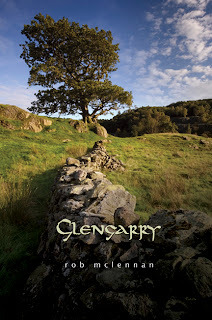 The first review of my poetry collection Glengarry (Talonbooks, 2011), by Ottawa writer Jamie Bradley, has now been posted on Bywords.ca. jesslyn delia smith is a recent Carleton graduate living and writing in Ottawa, and has had three chapbooks published through Carleton’s In/Words Magazine & Press. Her poetry and prose can be found on her blog, www.jesslyndelia.com, which is updated frequently. Feedback at jesslyn.delia@gmail.com or twitter.com/jesslyndelia. Hugh Thomas [pictured] is a writer from Fredericton, where he is a professor of mathematics at the University of New Brunswick. Chapbooks of his poetry have been published by Paper Kite Press ("Heart badly buried by five shovels," 2009) and BookThug ("Mutations," 2004), with a new chapbook this month with above/ground press. A book of variations on Kafka texts, a joint project with Gary Barwin and Craig Conley, will be published by New Star Books in the fall. Hugh Thomas's poetry has appeared in a variety of Canadian small press periodicals, including 1cent, BafterC, CRASH, dig, fhole, filling Station, Hardscrabble, Peter F. Yacht Club, and Twaddle. 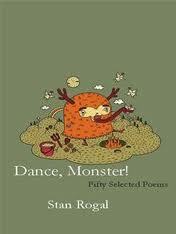 My review of Toronto writer Stan Rogal's Dance, Monster! Fifty Selected Poems (Insomniac Press, 2011), edited by Paul Vermeersch, is now up at Prairie Fire Review of Books. And here's a note on his reading to launch the same in Ottawa. Kaie Kellough is a Montréal word-sound systemizer. He is the author of Lettricity (Cumulus, 2004), and Maple Leaf Rag (Arbeiter Ring, 2010), which was nominated for the Manuela Dias design award. Kaie is the voice of one sound recording, Vox:Versus (WOW, 2011), a suite of conversations between voice and instrument. Kaie's print and sound work is underwritten by rhythm and by a desire to dis-and re-assemble language and meaning. Kaie's work emerges where voice, language, music, and text intersect. 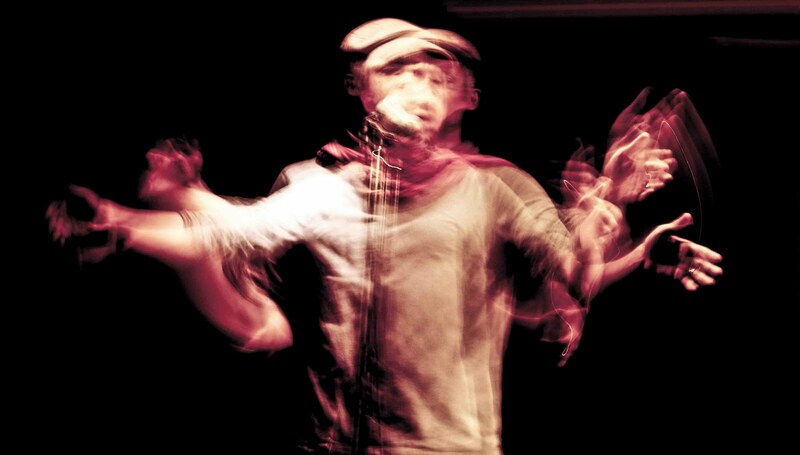 He blends word-games with sound poetry, dub, and jazzoetry. He has performed and published internationally. Kaie is presently working on short fiction, on poems that say goodbye, and on new sound recordings based on formative experiences of language. my first book - it taught me about the effort it takes to pull a book together. that effort flung me forward, it improved me as a poet. at the time my first book came out, i was working a lot in the spoken word / dub poetry / performance poetry areas. having a book published helped to distinguish my practice. i wasn’t recording with a full band. i wasn’t putting on a one-man show, etc. i was waxing bookish. my more recent (as yet unpublished) writing is moving in several new directions. one is a concrete direction ::: visual work that uses letters and punctuation, but that also incorporates musical notation and functions as a score for sound poems. i would one day like to develop these into an installation project that incorporates sound. this differs from my previous work because it bears little relationship to the lyric, and because it absolutely privileges the visual and sonic elements. another direction is prose (short fiction), and this differs from my previous work because it’s not poetry, and because i find it much easier to incorporate humor and absurdity into prose pieces. i actually did arrive at prose first, but when i started experimenting with poetry i became deeply interested in all of the nuanced sound-play that can take place in a line of poetry, and by how the mind’s ear can be engaged. i was also interested in how it is possible to create new forms, and/or adapt old ones to new idioms and purposes. i strayed from prose for many years, and am only now finding my way back. it takes me a long time to write – i write slowly and i get stumped easily. fortunately, i always have a multiple ideas in mind / projects on the go – ideas / projects that span lyric poetry, sound poetry and its performance &or recording, visual poetry, and prose. i’m able to skip to another project when i no longer know how to proceed, and i eventually complete the cycle in this fashion. old projects come to fruition, and new ones get inserted into the cycle. i also revise a lot, and i try to push my poems to take on a sonic and a visual character, and this requires a lot of tinkering, much displacing of letters and words and experimenting with font and type. i don’t often know how i want a poem to look when i begin writing, so that develops as the poem develops. i also use constraints from time to time, and these constraint-based poems can take a long time to complete. even once i have a draft, i keep the poem around because i want to be sure i’ve written the best work i can within the limitations i’ve imposed. until recently my projects have always fragmented into smaller units. BUT lately i’ve acquired a new focus. I think this is because i’ve seen a few books through from conception to publication, as well as an album. i’m comfortable developing ideas at length, working with the same ideas through, say, the rehearsal, recording, mixing, mastering, design and launch processes. lately i’ve also had the opportunity to give longer performances, which allows me to conceive of my work in larger units. i would emphasize the word performance more than reading, because in performance i do limited reading. i have performed solo, with instrumental accompaniment, with big bands, with dancers, and with other vocalists. 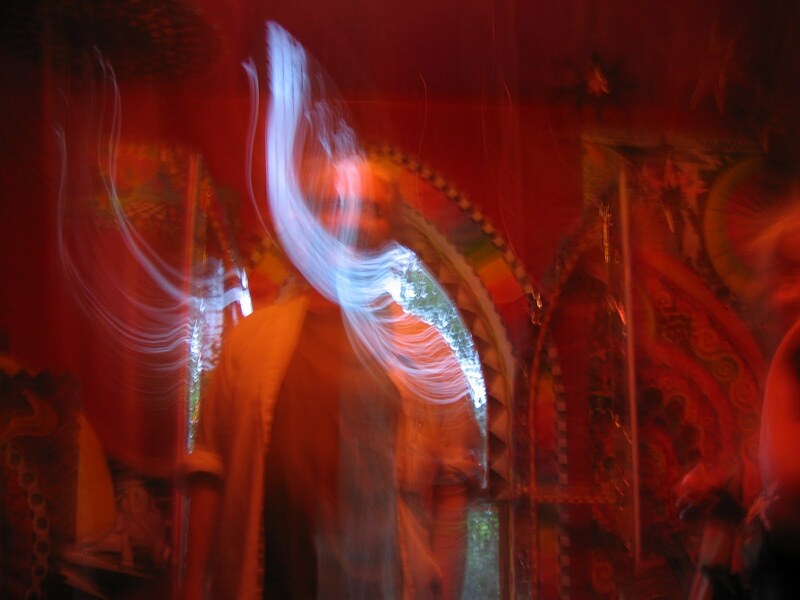 in the early-mid 2000s i was working with an improvised music ensemble. over a 4-year period i performed at least once a week, and participated in 300+ performances. of late, my performances have been based in sound poetry and in what i call ‘remix poems.’ the remix poems are page-based works that get reassembled live. the reassembly is always improvised, and guided equally by sound and meaning. no two versions of a particular text will be alike. the improvisation is also meant to discover new meanings and new perspectives on the poem by taking its component letters, syllables, words, and cadences out of their familiar page-bound context. this also allows the performance to become non-linear (not moving from beginning to end) and independent of the printed poem. i enjoy performing, but at the same time i find it highly stressful. working in sound poetry has been very rewarding (often producing a euphoric disorientation that accompanies me off stage), but it also puts me very close to the limits of my abilities. for this reason i have to prepare carefully, i also have to visualize the performance. in order to improvise well, to be able to create a spontaneous structure that makes sense in the moment, my mind has to be very clear; i have to be in a heightened, attentive state, but at the same time i have to be loose and supple. this is a demanding process, but i enjoy it, yes. i’m concerned with creating books that are visual and that suggest sound, so they become an involving sensory experience, and in albums that are literary and that can use sound to suggest visual images. whether a writer eschews or embraces certain roles, whether they love or despise their position, the writer is always thinking. it isn’t possible to write without thinking about the world and the things in it, and writing grows out of that thinking. so perhaps the best way to approach this is to say that wherever or however a writer positions themselves vis-à-vis the larger culture, they think. i’d say the process is helpful (not essential) and difficult. can you trust your editor? i’ve been in situations where two writers whose taste i trusted, and whose work bore similarities to mine, gave me radically different feedback. what one poet found trite, the other found profound, and vice-versa. what one believed, the other found incredible, and so on. so, while it is helpful to have some outside perspective on what you are so deeply immersed in, the final decision is yours. you have to be equipped to decide how to implement your editor’s advice. basically, you have to be able to function as your own editor, even if you have an outside person looking at your work. near the turn of the millenium i was performing at an event in toronto, at which the poet clifton joseph was also performing. clifton insisted that ‘poets have to diversify.’ i took this to mean that a poet doesn’t have to be narrowly defined, and that it is valuable and important to broaden your artistic practice. you don’t need to only stick to one form, one school, one set of ideas. be open to experimentation and to collaboration, borrow liberally, and use your writing skill in as many different ways as you can. reinvent and re-envision yourself. i don’t write critical prose, but i do write fiction, and it’s not difficult to move between the two. when writing poetry i don’t think in terms of narrative or character, and when writing fiction i don’t try to foreground the sound and music of the language. i have to think differently and use different faculties for each type of writing, and moving back and forth allows these faculties to rest and be refreshed. i don’t write every day, though i should. i don’t have a routine, though should. i write when i can liberate the time. i work in cycles. i need to ingest material, then ruminate upon it, in order to expel material. i have moments of heavy reading and study, moments when the rate of absorption slows, when the idea of reading or listening makes me feel listless and sleepy, and then periods where i begin to generate new material, or revisit older works. the cycles are not cleanly divided – there is overlap. but i definitely notice periods when i hunger for a new vocabulary, new ideas, new approaches, and other periods when i feel sated, full, and need to let all of the material i have absorbed begin to knit together. i often turn to other writing, to the visual arts, and to music. i also look into biographies – i love bios of jazz musicians and boxers, in particular figures from the first half of the 20th century. musicians and prizefighters lived unconventional, fast, and daring lives. they made their living in risky ways, sometimes on the edge/fringe of the law. at the same time, they travelled and were celebrated for their achievements. their life experience far exceeded that of most people. i turn to those bios for ideas and just to invigorate the dreaming faculty, present it with possibilities it hadn’t yet considered. i would like to travel along some of the underground railroad routes, writing as i go. i would also like to kayak around the island of montréal, and to begin going on long-distance bicycle trips. if i were to be very realistic and bare-bones about this consideration, i would admit that outside of writing i have another life in which i am a corporate manager, so even though it doesn’t sound terribly exciting, if i didn’t write, i might be just what i am now, only more of it. i would feel silly declaring that without writing i’d be lost, or that i can’t imagine living without writing. those statements seem too dramatic. i sometimes wonder if the opposite might be true – that without writing i would be much more conventional, much more practical, yet much less imaginative, and less acquainted with risk. Now available from Jeffery Side's Argotist Ebooks (England), the e-poetry book apertures by Ottawa poet rob mclennan. In apertures, the second book of poet rob mclennan's “the other side of the mouth” (the first appeared in limited edition through BookThug in 2003), he writes a variation on Vancouver writer George Bowering's Curious (Toronto ON: Coach House Press, 1974), a collection of poems composed for and about other poets. 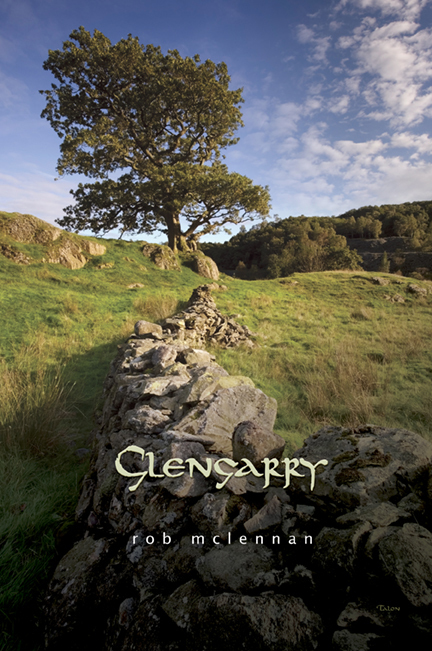 In apertures, mclennan composed pieces about the possessions of a variety of poets he has known, whether personally or only through their writings, over the past decade and a half. In eighty-four poems, mclennan writes the “stuff” of a list of both American and Canadian poets, riffing through each writer's individual language, resulting in a portrait of North American writing through the eyes of one of Canada's most active poet/critics.